Deliveries of Russian weapons to Central African Republic’s security forces this year pushed rebel groups to bolster own stockpiles as they consolidate control over large parts of the country, a UN panel of experts said. Despite Faustin-Archange Touadera’s election as president in 2016 and the deployment of thousands of UN peacekeepers, most of the country remains beyond control of the Bangui government. 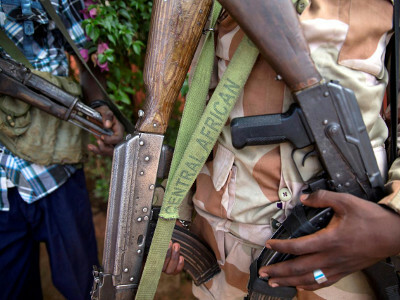 The UN Security Council granted Russia an exemption to Central African Republic’s arms embargo in December to allow it to provide light arms to government forces and send military and civilian instructors to train them. “The recent acquisition of weaponry by government has created an incentive for active rearmament of ex-Selaka factions,” a report by UN sanctions monitors said. A spokesman for Central African Republic’s government said he had no immediate comment. Russia’s UN mission did not immediately respond to a request for comment. Overall, the report said, security deteriorated this year in parts of the country where improvements were reported, including Bangui and Bambari, about 250 km north-east. A joint operation by UN peacekeepers and national security forces in April to flush out armed groups in Bangui helped spark violence that killed 70 people and wounded 330 more, the worst one-month period in the capital since 2014, it said. The UN peacekeeping mission, MINUSCA, did not respond immediately to a request for comment.